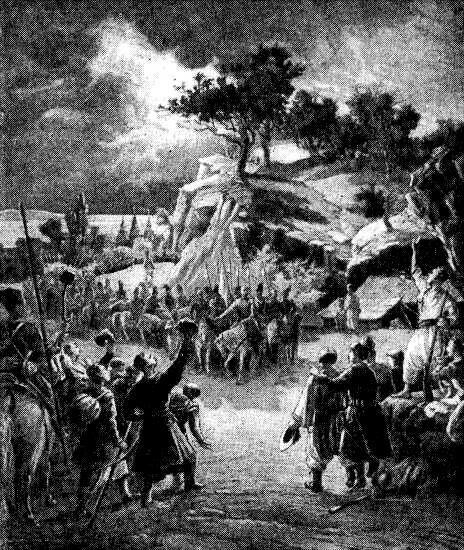 Haidamaka uprisings (Гайдамаччина; Haidamachchyna). Eighteenth-century popular rebellions against the social, national, and religious oppression of the Polish regime in Right-Bank Ukraine. 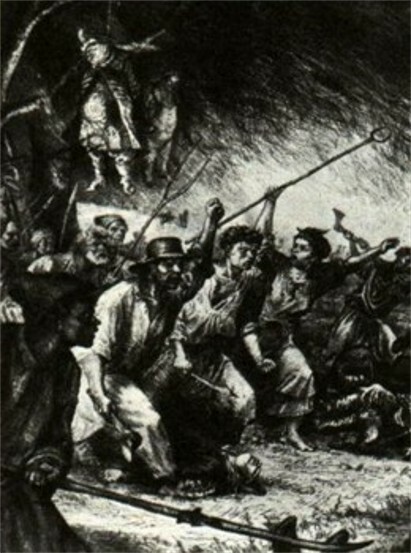 As corvée obligations and the abuse of power by Polish magnates and nobles and their Jewish stewards in Ukraine increased, disaffection among the common people grew; serfs, other peasants, impoverished Cossacks, artisans, petty burghers, and agricultural colonists fled from their oppressors into the steppes or forests. There they formed bands of haidamakas, which moved swiftly from one area to another to attack their unwary enemy and disappeared again into the wilds. Zaporozhian Cossacks played leading roles as organizers of the rebel bands, which plundered and burned towns and nobles' estates, killing Roman Catholic and Uniate clerics, nobles and their agents, Jewish stewards, innkeepers, and money lenders, thereby inflicting heavy economic losses on the latifundia system. The Poles reacted by further repressing the peasantry. Haidamakas who were captured were tortured and cruelly executed. Yet the haidamakas' call for a land free from Poles, Jews, and landlords, for the abolition of serfdom, and for the free exercise of the Orthodox faith found sympathy among the peasantry and many Orthodox monks, who often provided them with shelter, supplies, and hiding places. 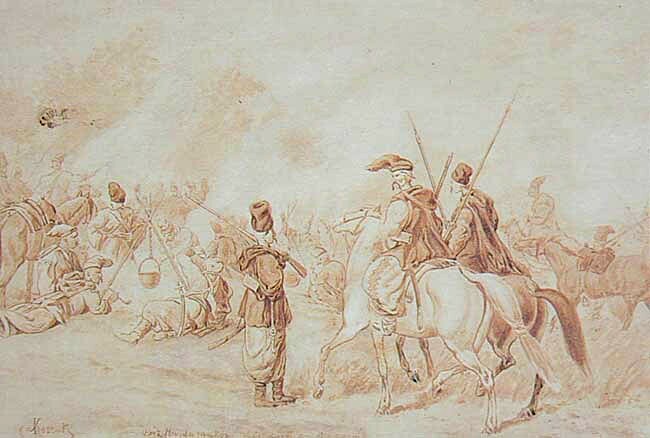 The small Polish army in Ukraine and the magnates' household militias (consisting of Cossacks who often switched sides) found it hard to counteract them, and haidamaka raids became more and more common, thus turning into mass uprisings that covered the entire breadth of Right-Bank Ukraine. The first general insurrection broke out in 1734 during the war for the Polish throne after the death of Frederick Augustus II. Russian troops, which had been sent to depose King Stanislaus I Leszczyński, were viewed as the harbingers of liberation from Polish oppression, and the masses of the Kyiv region rebelled. The uprising quickly spread to Podilia and part of Volhynia, where it became particularly violent. Verlan, the former captain of the Lubomirski family's Cossack militia in Sharhorod, became the supreme commander of the rebel army. Other leaders included Sava Chaly, who eventually betrayed the haidamakas, Matvii Hryva, I. Medvid, M. Motorny, and Pysarenko. In summer 1734 the haidamakas captured several towns, including Vinnytsia, Zhvanets, Kremenets, Brody, and Zbarazh, and penetrated as far as Kamianets-Podilskyi and Lviv. The uprising was crushed by the intervention of Russian troops, after Augustus III ascended the Polish throne. Thereafter smaller haidamaka rebellions continued for some time (see Hnat Holy). The second major uprising broke out in 1750 without an external stimulus, but simply as a result of the movement's increased popular support. Having organized themselves on the territory of the Zaporozhian Cossacks, the haidamakas crossed into the southern part of the Kyiv palatinate. Led by M. Sukhy, P. Taran, Oleksii Pysmenny, I. Pokoliaka, M. Teslia, Mochula, and others, they roused almost the entire populace of Right-Bank Ukraine to revolt. They captured Uman, Vinnytsia, Chyhyryn, Fastiv, Letychiv, Korsun, Trakhtemyriv, and other towns before the uprising was suppressed by the combined Polish noble forces of Kyiv voivodeship, Podilia voivodeship, and Volhynia voivodeship. Failure of the revolt can be attributed to the lack of co-ordination among the various haidamaka detachments, of a general plan of action, and of a common leader. The largest and bloodiest haidamaka uprising, known as the Koliivshchyna rebellion, broke out in 1768 in the Kyiv region and Bratslav region and spread to Podilia, Volhynia, and even Subcarpathia. It was sparked by the appearance in Right-Bank Ukraine of Russian troops, sent to suppress the anti-Russian Polish noble Confederation of Bar. 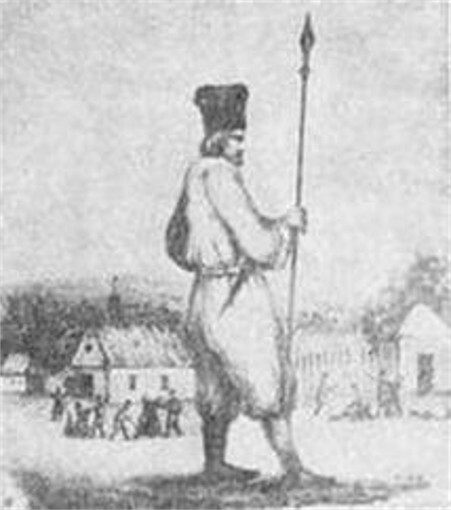 The main leaders of the uprising were the Zaporozhian Cossack Maksym Zalizniak and the captain of the Uman Cossack militia, Ivan Gonta. Many towns were captured by the rebels, and their Polish and Jewish inhabitants were slaughtered. Again, the Poles managed to crush the uprising only with the help of Russian troops. After 1768 haidamaka uprisings in Right-Bank Ukraine declined. Such later revolts as that led by Ustym Karmaliuk, however, were not unlike the earlier ones. The haidamakas and their uprisings have been preserved in the collective memory in the form of legends and folk songs. The haidamakas, and particularly the Koliivshchyna rebellion, have been presented in a heroic light in the works of Taras Shevchenko, members of the Ukrainian school in Polish literature, and such Soviet writers as Ivan Kocherha, Yurii Mushketyk, and Mykola Syrotiuk. They were also idealized to some extent by Ukrainian populist historians of the 19th century. A referral to this page is found in 44 entries.